Pair of contemporary Italian 1950`s style wall lights. 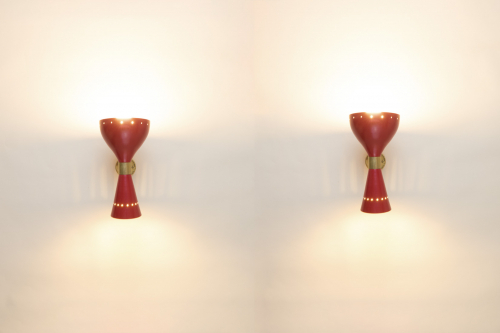 Lacquered red shades with single bulb holders in both ends projecting light upwards and downwards. Beautifully made and certified and rewired. 30 cm is the total depth from the wall.